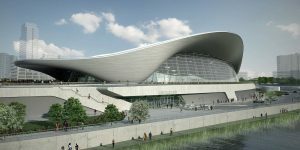 Max Associates were appointed to undertake a performance review and benchmarking exercise for the London Aquatics Centre and Copperbox Arena. This included benchmarking against similar facilities and assessing overall performance. The report is now being used by GLL and LLDC in the review of the contract. Max Associates undertook a service review of the existing dual use facility to identify areas for savings and improvements that would help reduce the ongoing subsidy requirement. As part of this review we highlighted the potential financial benefits of outsourcing the management of the facility. Max Associates has completed a service review of 2 of the Councils Leisure Centres, where key income and expenditure data was compared to industry benchmarks. Following completion of the service review we worked with Alliance Leisure to determine investment options for the centres, with a view to increasing participation, securing investment and extending the existing contract. Max Associates then produced the detailed business plan for Swallows Leisure Centre. This outlined the additional income and expenditure as a result of the investment and the positive impact on the subsidy position. Make recommendations which would allow the Council to maintain its current levels of revenue expenditure but target resources differently to focus on the inactive. Abbeycroft and Anglia Community Leisure Trusts have recently merged; they currently manage leisure facilities on behalf of Forest Heath District Council and St Edmundsbury Borough Council. Max Associates is currently completing a full business review and assessment of investment opportunities across four key facilities as well as a full pricing review across both organisations. Proactively assess longer term investment proposals to reduce the subsidy and provide business cases to both Councils. Trafford Community Leisure Trust (TCLT) manages 9 leisure facilities, 2 golf courses and the Sport Trafford development service which covers sport and swimming programmes and initiatives. The agreement with the Council commenced in 2003 and runs until March 2023. Assist the Trust in developing a community asset transfer model for presentation to the Council. Brio Leisure is a community interest company which is wholly owned by Cheshire West and Cheshire Council (CWaC). The company currently manages 16 leisure, entertainment and golf facilities on behalf of the Council. The agreement commenced in 2011 and runs until March 2015. Islington Borough Council – Performance review of 4 leisure centres as part of a wider Council review of the contract and identification of future procurement options. Guildford Spectrum – To undertake a performance review of Guildford Spectrum, Outdoor Lido and Ash Manor, total turnover £7.4m, as the first stage of an options appraisal. Business review identified strong performance in events, bowling, ice skating and swimming. Improvements were identified in managing repairs and maintenance and fitness sales. 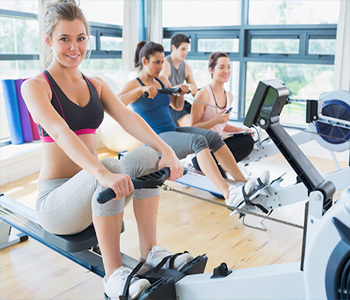 Bromley Mytime – Full Business review of 4 leisure centres managed by the Trust, with emphasis on income generation, customer journey, website and benchmarking with comparable sites. A workshop was held with the senior management team to agree key actions following the completion of the report. Sheffield International Venues – Full business review of Ponds Forge International Swimming Centre and English Institute of Sport Sheffield for SIV. This review considered all areas of income and expenditure, performance reporting and head office support to sites. The uniqueness of the centres was taken into consideration recognising the need to balance use of National Governing Bodies and national and international events and maximising community use at other times. The Recommendations were used for both on-going centre performance and re-tendering purposes. Celtic Community Leisure – Part of a team commissioned by the Trust to provide interim management services and general advice across a range of organisational and operational issues. Specific tasks focused on a full business review of all the main leisure centres within the portfolio and ‘critical friend’ assessing development proposals that the Trust were considering in partnership with Alliance Leisure. Castle Point Borough Council – Full business review of the centres in all areas of income and expenditure with particular emphasis on sales and fitness procedures. This resulted in a detailed action plan being developed and on-going support provided to deliver the action plan with the sites and other Council officers for 3 days a week for a 6 month period.